"Phenomenal. Loved it. I’d recommend this to everyone. Can’t wait to go again!!" 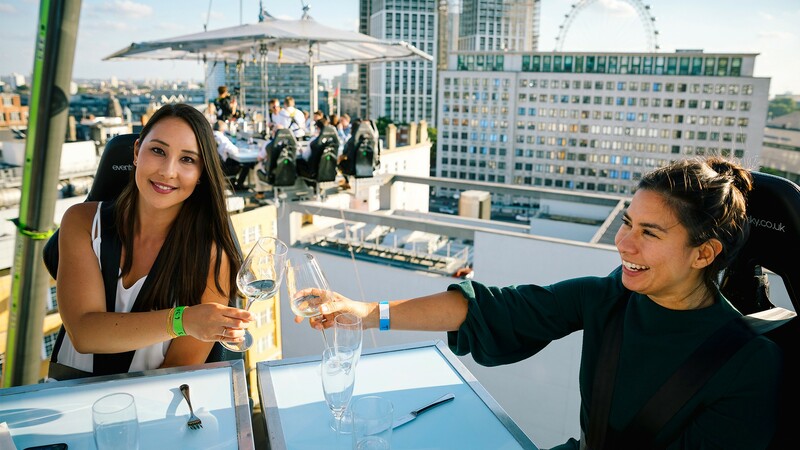 London in the Sky is an experience like no other; a 22-seat Sky Table suspended 100ft in the air, where you’ll enjoy fantastic food and drink accompanied by truly unique views of the capital’s skyline. 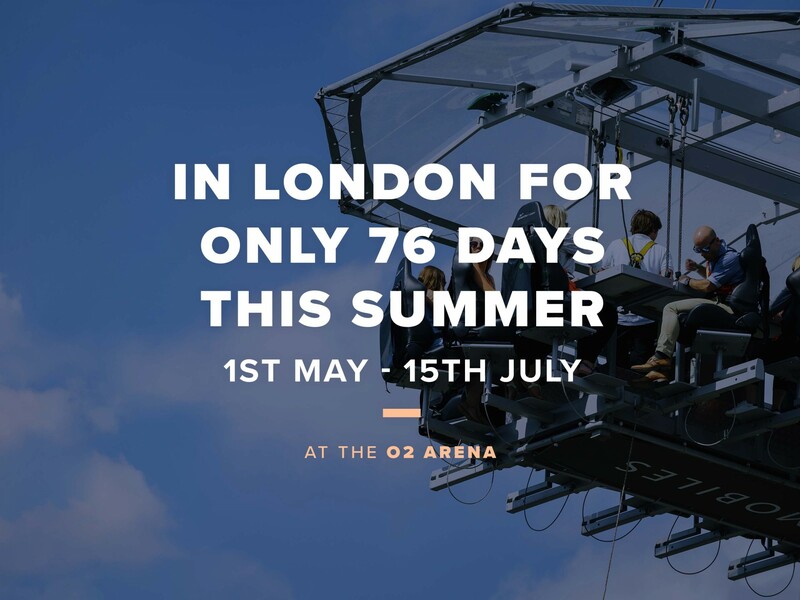 So, whether you’re after an epic setting for a date night or the chance to treat friends or clients to an experience they’ll never forget, London in the Sky is sure to be the highlight of your summer, the most exciting event in your calendar for 2019 – and the best selfie you’ll ever take. We run eight flights a day: two Breakfasts (45mins); Prosecco & Cake (45mins); two Lunch flights (1hr); Cocktails (45mins); and finally two evening Dinners (1hr). 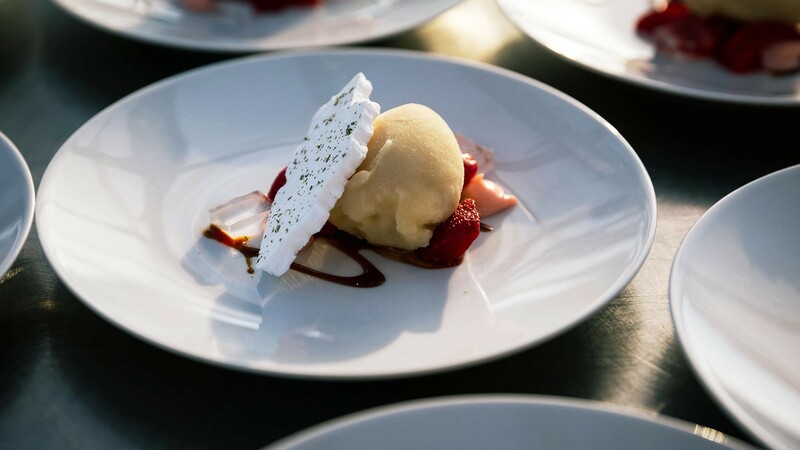 Whichever flight you’re on, you can expect an indulgent menu of food and/or drinks. 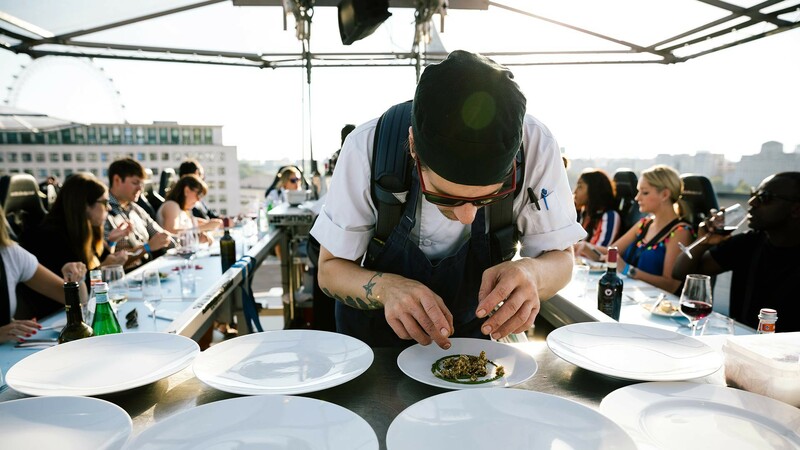 Each of our flights features a specially created premium menu of food and/or drinks, curated by top London chefs and mixologists and served right in front of you at the Sky Table. When booking your flights, you can add extras including champagne and our luxurious Celebration Package. Pick a date, select a flight and you’re ready to book your seats. 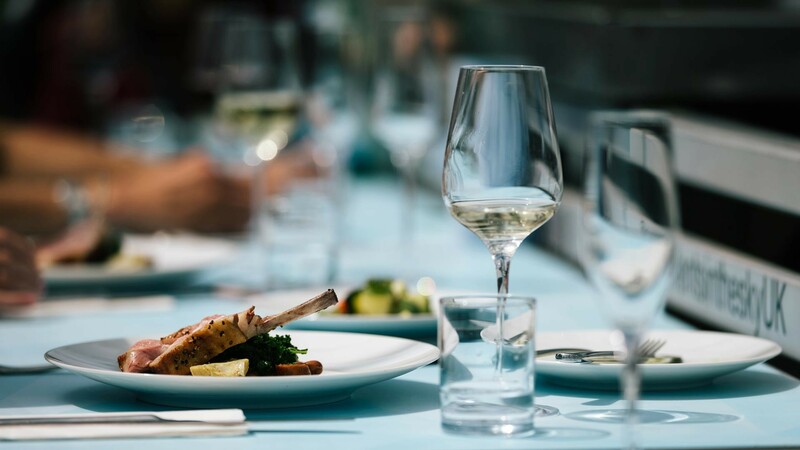 Once you’ve secured your places at the table, we’ll send you a confirmation email with everything you need to know, from when to arrive to how to advise us about dietary requirements. 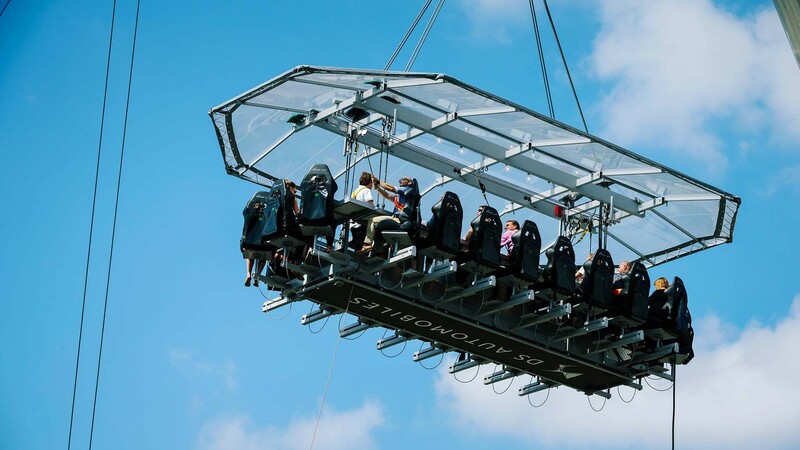 Would you like to eat breakfast 100ft in the sky, completely naked? Bonkers, right? But what about if doing it could save lives? Piqued your interest now? For one night only, The Sax Man is taking to the sky to deliver you some incredible jazz 100ft in the air. 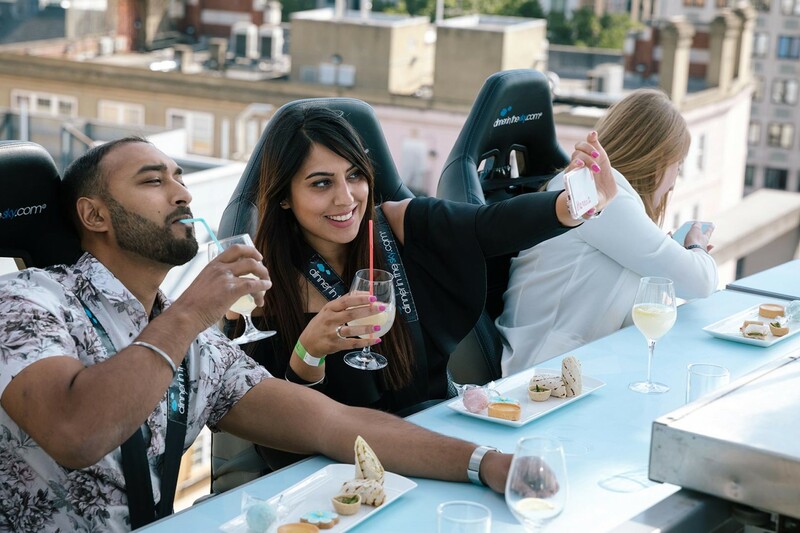 Bottomless brunch while seated 100ft in the air? Now that's something worth talking about. Our favourite London comedians are taking to the sky for a side-splitting afternoon of sky-high humour. Pho away the cobwebs with an intense workout followed by an utterly delicious Vietnamese brunch – and bottomless prosecco. For one day only you can take your high tea to new heights… 100ft higher, to be precise. Would you like to eat breakfast 100ft in the sky, completely naked? Bonkers right? What about if doing it could save lives? Piqued your interest now? "Wow what an experience, had the time of our life and the staff, food and drinks were amazing! Thank you for an unforgettable experience in the sky!" As soon as you arrive, we’ll check you in for your flight and show you to our bar and lounge – it’s the perfect place to relax and enjoy a drink until your table’s ready to be seated. When your flight’s ready to go, our staff will help you into your seat and strap you in using the three harnesses. As soon as all guests are safely secured, a crane will raise the table to a height of 100ft – your setting for the duration of your flight. Once your flight is finished, you’ll be helped out of your seat and escorted back to the lounge, where you’ll be able to buy drinks and relive your experience with both feet on the ground. "This a great experience and was well looked after on the day! The food was delicious and I would recommend this to all my friends & family"
Pick a type of flight you'd like to experience. There are lots of different times, experiences and prices to choose from. If the flight you're after isn't available you can flick through other nearby days easily from here. Review your choices and add any extras - like a private area in our lounge afterwards or champagne to accompany your experience. We accept all major credit cards. You'll receive an email to confirm your booking - and your tickets will arrive closer to your flight. If you have any questions, just get in touch. "This was a lovely surprise 'flight'. Great views, food and company. 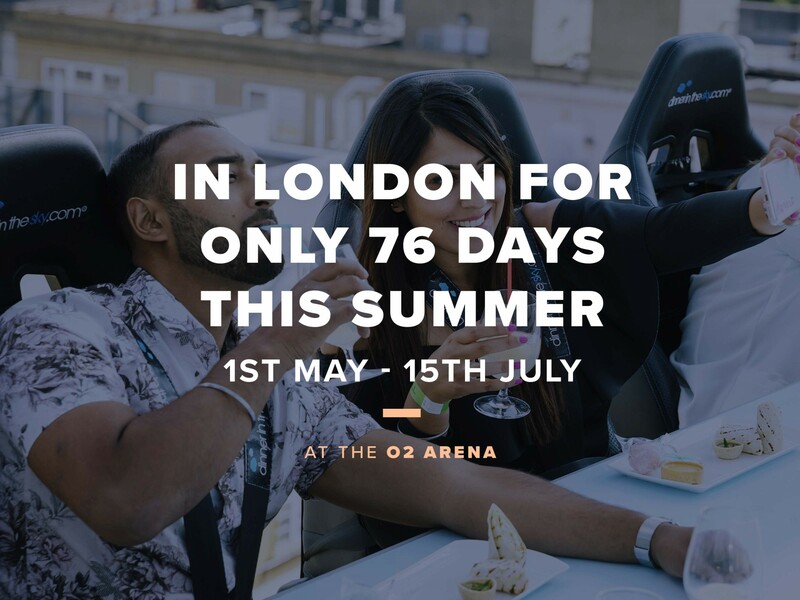 Even better than the Shard"
"One of the city’s most popular events is back for another stint of breathtakingly high fun." 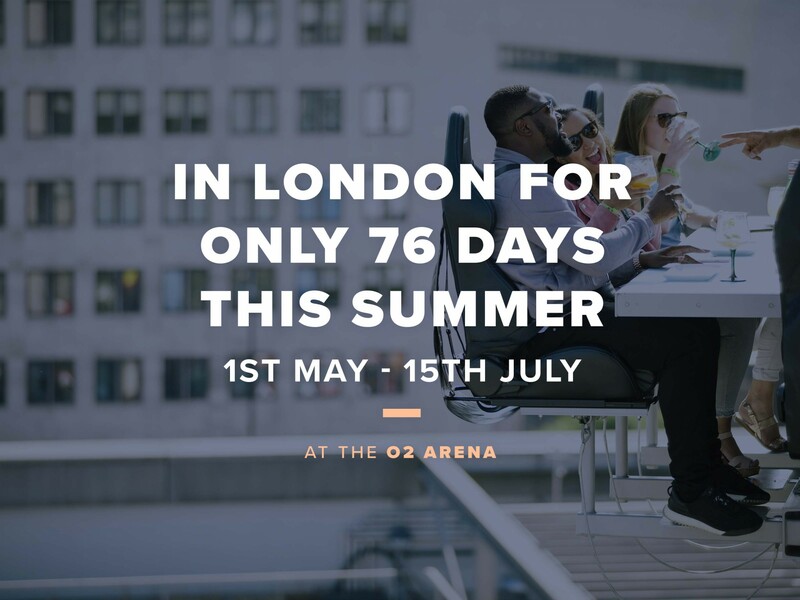 "Essentially London’s highest al fresco restaurant"